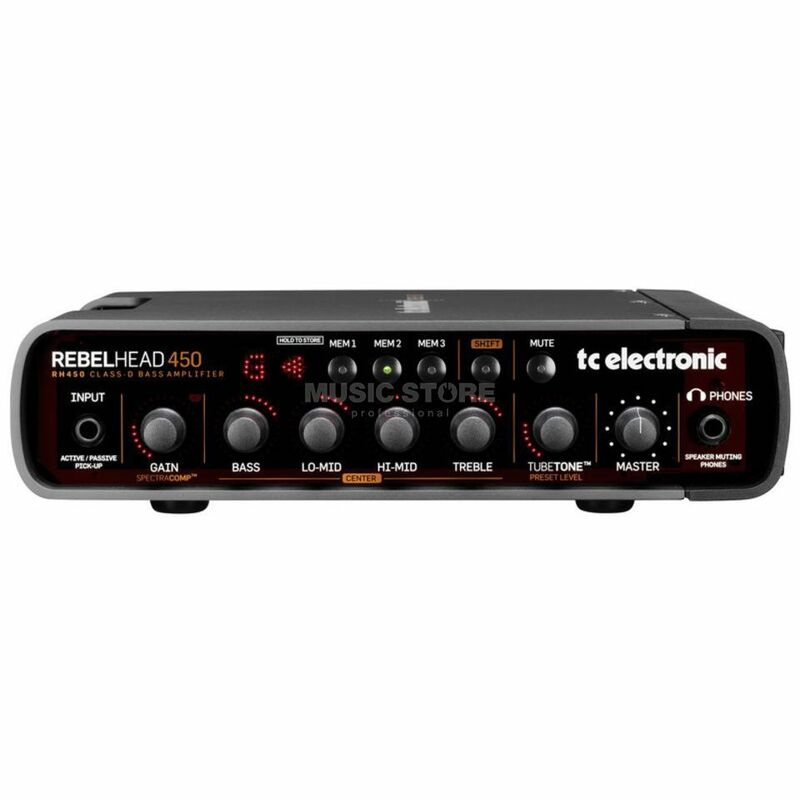 The TC Electronic RebelHead 450 Bass Guitar Amp RH450 is the next step in bass amplification. It approaches the player's applications and needs using completely new means, improving numerous aspects of a gigging bass player. The TC Electronic RH450 features a Chromatic Tuner, Spectra Comp, Presets and Tube Tone. The RH450 is great for touring, live, rehearsing or recording applications. Spectra Comp compresses Low, Mid, High independantly. Use the ‘Shift’ button to set Comp level. Tube Tone recreates the full pre-amp prior to tone controls and the power amp after the tone controls giving the full tube sound.